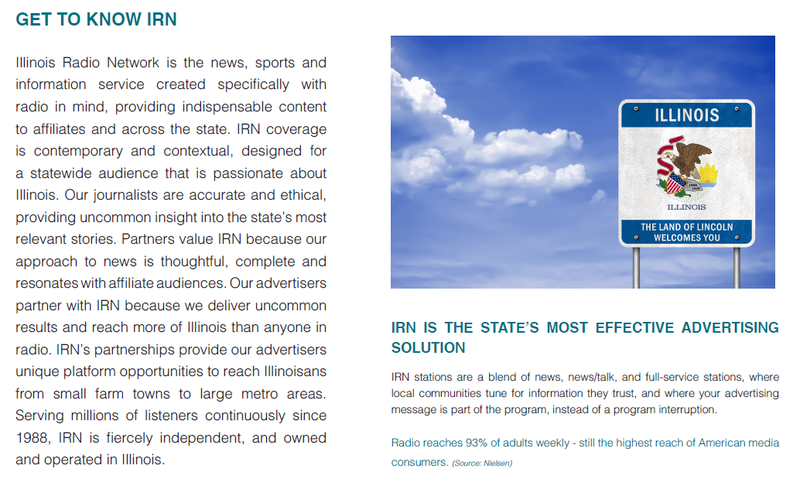 IRN reaches over 330K Illinoisans each week through 48 affiliate stations in all 10 of Illinois' media markets. Our brand partners choose Illinois Radio Network for unmatched access to a statewide audience, turnkey marketing solutions, and outstanding customer service. 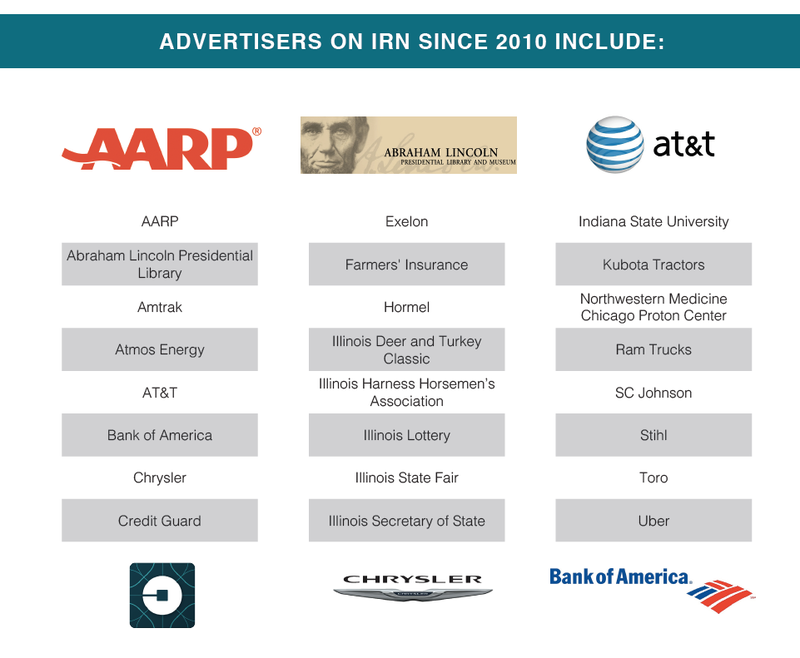 IRN is everywhere in Illinois. 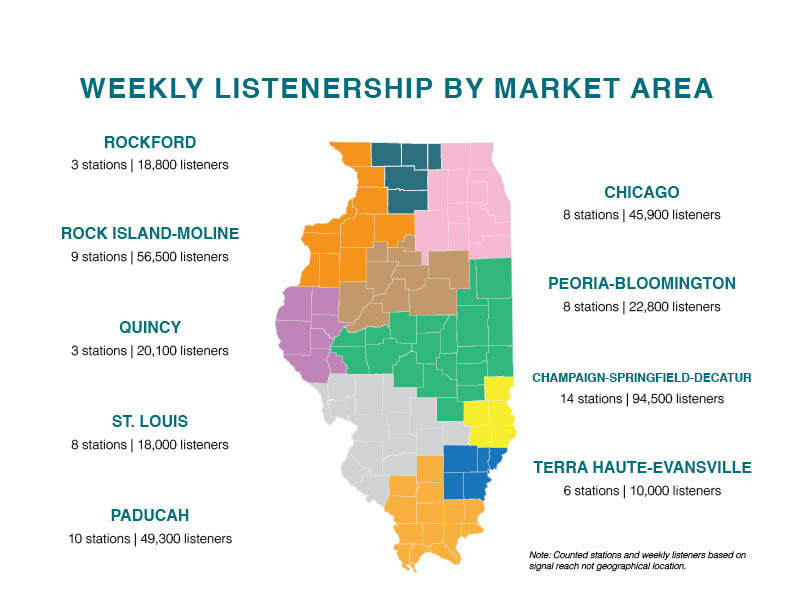 With a Nielsen-rated listenership of over 330,000 and a presence in every Illinois designated market area, IRN delivers statewide, like no other radio option. IRN is easy. A single purchase provides access to Illinois' largest single radio audience between Chicago and St. Louis. IRN is digital. IRN delivers a full suite of digital solutions that can be integrated into your radio plan, stand alone or customized to your requirements.